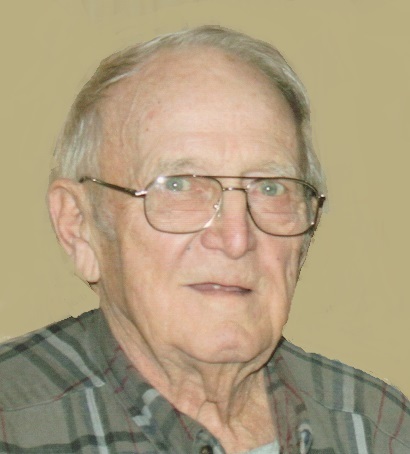 Levienes S. Schitter, age 91, of Jasper, Indiana, passed away at 10:00 a.m. on Sunday, September 30, 2018, at Brookside Village in Jasper, Indiana. Levienes was born in Ireland, Indiana, on November 19, 1926, to Sylvester and Leona (Eckert) Schitter. He married Louise (Kreilein) Luker on November 17, 1979, in St. Joseph's Catholic Church in Jasper, Indiana. He was a mail carrier in Jasper for over 40 years. He was a member of St. Joseph's Catholic Church in Jasper, American Legion Post #147, Jasper Moose, and a lifetime member of the Ireland Sportsman's Club and V.F.W. Post #673. He enjoyed fishing, gardening, and hulling nuts, especially pecans. Surviving are his wife, Louise Schitter, Jasper, IN, one step-son, Jim (Carol) Luker, Jasper, IN, one step granddaughter, Mandy (Jason) Uppencamp, White Oak, IN, step great grandchildren and great-great step grandchildren, two brothers, Kenny (Mary) Schitter, Jasper, IN, and David (Janet) Schitter, Ireland, IN, and several nieces and nephews. Preceding him in death is one brother, Melvin Schitter. A Mass of Christian Burial for Levienes S. Schitter will be held at 11:00 a.m. on Thursday, October 4, 2018, at St. Joseph's Catholic Church with burial to follow in Fairview Cemetery in Jasper. The V.F.W. Post #673 will conduct military gravesite rights. A visitation will be held from 9:00 a.m. until the 11:00 a.m. service time on Thursday, October 4, 2018 at St. Joseph's Catholic Church in Jasper.